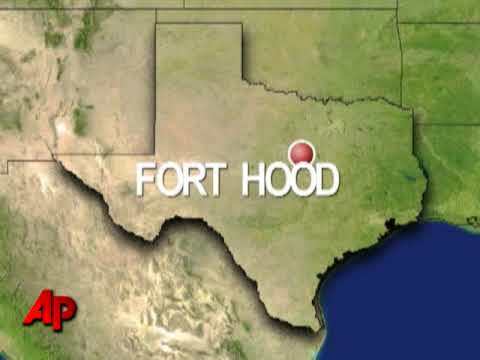 The Fort Hood shooting occurred on November 5, 2009, at Fort Hood, located outside of Killeen, Texas, the largest American military base in the world based on the number of troops stationed there. A gunman opened fire in the Soldier Readiness Center, killing 13 people and wounding 30 others. U.S. Army psychiatrist Major Nidal Malik Hasan, the alleged gunman, was shot four times by a civilian police officer and was seriously injured. Following the incident, Hasan was hospitalized, initially on a ventilator, under heavy guard. The first people who came across Maj. Nidal Malik Hasan, the psychiatrist suspected of Thursday's murderous rampage, told tales Friday of quick, calm efforts in the face of danger. By the time it was over -- in less than five minutes, base commander Lt. Gen. Bob Cone said -- 13 people were dead and 38, including Hasan, were wounded.